With a rising prominence in foreign trade and travel, state-of-the-ari health care facilities, and a lively arts scene, Bangor has neatly positioned itself for the next century.  In the pages of this special Annual issue, the Editors of Down East take a fresh look at the surprising city on the Penobscot. The sprawling intemational airport that put Bangor on the modem map of the world started out as a white elephant that doomsters said would bankrupt the city. Instead it has changed the way Bangor looks at itself. By Jeff Clark. What to know before you go — from how to pronounce Bangor correctly to how to make a Bangorite smile. Everyone in Bangor knows why Stephen and Tabitha King have settled in the Queen City, but folks from away seem puzzled. By Edgar Allen Beem. The children’s wing at Eastem Maine Medical Center is a showcase for the upbeat, patient-centered approach to care that distinguishes the whole hospital. By Ellen MacDonaldWard. A medley of fifteen little-known facts about the Bangor Symphony Orchestra, on the occasion of its 100th anniversary. By Matthew P. Mayo. 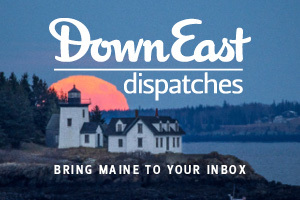 Half of Maine’s congressional delegation grew up in the city on the Penobscot, and both fellows say they haven’t forgotten where they came from. 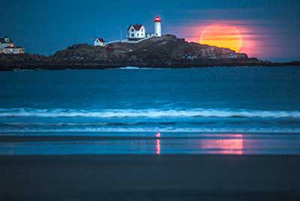 More than any other city in Maine, and perhaps in the Northeast, Bangor works hard to earn the hearts — and dollars — of its Canadian neighbors. More than a few people who could write their tickets anywhere have staked their careers on Bangor. Seven explain why. An assortment of facts and factoids for out-of-towners. The Queen City came by its pluck quite naturally, as a glance at its glittering past suggests. 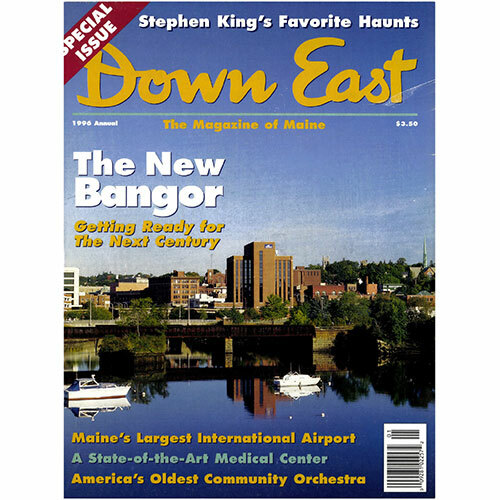 Cover: The Bangor skyline, photographed by Benjamin Magro from the Joshua Chamberlain Bridge.